We often are asked if we have a favourite ‘seamstress’ or ‘wedding car service’, but almost every bride will ask us to recommend a photographer. Wedding photography is such an important part of the whole day; you will be looking back on your photographs for years to come! Here are our top two for this year! If you are after tasteful, traditional and well presented images, then Snowden Photography is the one for you. John Snowden has been a professional photographer for over 20 years, with a vast number of photographic projects under his belt. John studied Photography at the New York School of Photography, and is a member of the Society of Wedding and Portrait Photographers. John also has a home based studio for more intimate shoots, and colourful family portraits. John also takes a lot of commercial photography. His relaxed persona and eye for detail makes him one of our favourite photographers in Hampshire. John’s prices start from £525, and photo book packages are also available. Other prices and information can be found on his website, www.snowdenphotography.co.uk. If you are after beautiful, quirky and eye catching images to look back on, then Sarah of Sarah Elvin Photography is your girl! Sarah specialises in colourful, vibrant reportage photography, and also offers her ‘Full-Day’ customers a complimentary vintage style ‘Photobooth’. Sarah has a wealth of experience, having taken stunning photographs throughout Hampshire and Dorset over the last 8 years. 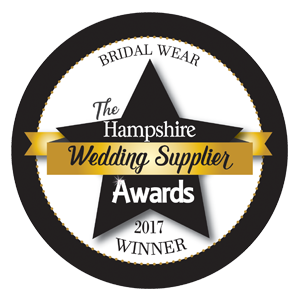 Her professional and calm persona puts all of her brides at ease, and that’s one of the reasons Sarah is one of our favourite photographers in Hampshire.